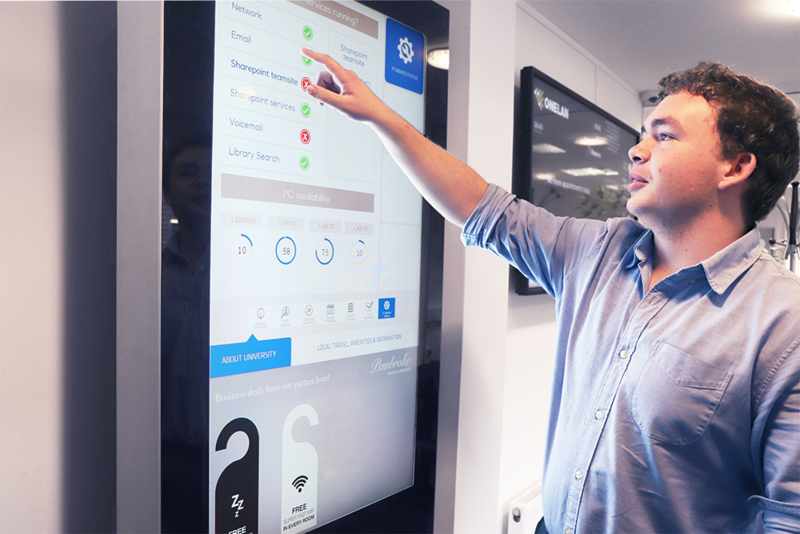 Any ONELAN signage player can be licensed to support touch screen signage, turning it into a powerful platform for interactive solutions within kiosks or wall mounted installations. 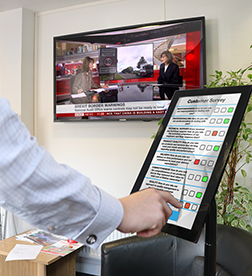 Accredited content partners offer a wide range of touch solutions that can enhance your signage installations with interactivity. Contact your local ONELAN representative to find out more about this content. Provide product information in-store along with digital advertising to enhance sales performance. 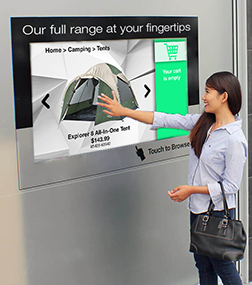 From individual interactive tablets to large touch screen signage displays, retail kiosks can be used throughout a store to grab customer’s attention, streamline the sales process, increase sales with digital advertising. Provide visitors easy to use navigation. Options include route visualization and point of information display. This can be delivered as a simple 2D floor plan, 3D illustration or as a dynamic solution built upon services such as google maps. Gain instant feedback from guests and visitors providing valuable research on products and services. 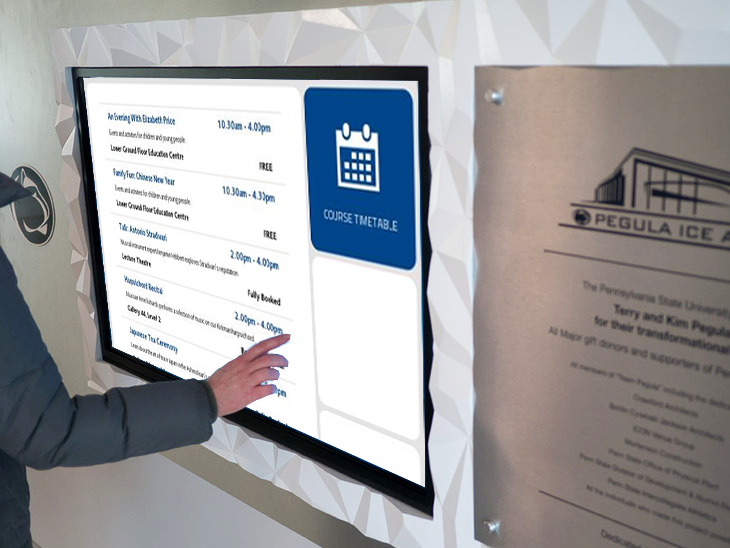 Allow visitors to check in, register attendance and print badges at conferences and events.